From the “wish you were here files,” as spotted on Mashable today. 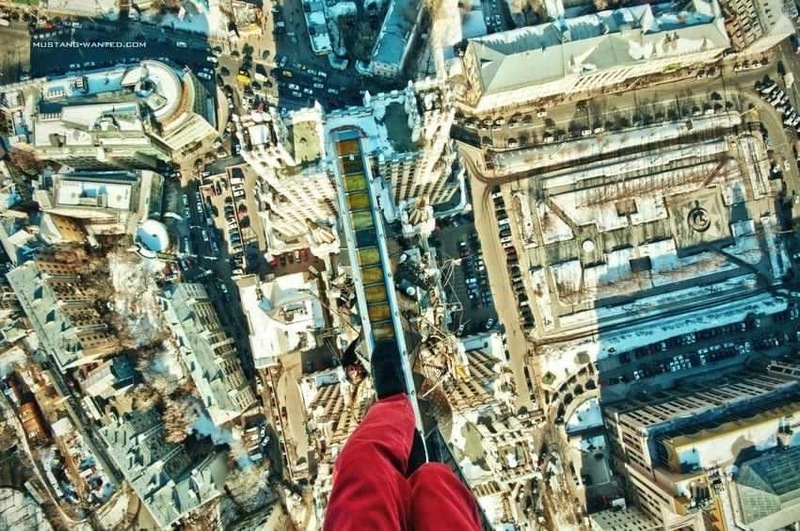 This Ukrainian guy who goes by “Mustang Wanted” has a penchant for climbing tall structures and posing for these awesome pictures. Here’s a couple of samples – be sure to check out the others, linked above and here.